Google's Gboard App Just Got Some Never Seen Before Features! 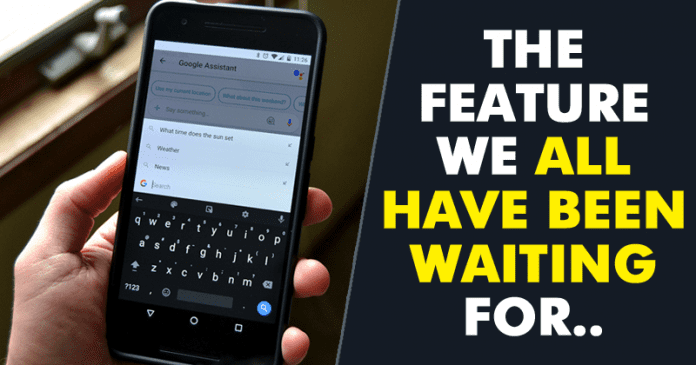 Technology Android Google’s Gboard App Just Got Some Never Seen Before Features! Google’s Gboard App Just Got Some Never Seen Before Features! If you use Gboard on your Android then let me tell you, Google had just rolled out a new update which brings some never-seen-before feature to its keyboard app. Now Gboard will recognize hand-drawn emojis. If you remember Google talked about Smarter AI for its software ecosystem at this year’s developer conference. If looks like Google already begun the work to attain the goal within a month. If you use Gboard on your Android then let me tell you, Google had just rolled out a new update which brings some never-seen-before feature to its keyboard app. Now Gboard will recognize hand-drawn emojis. The recent update adds a new emoji search box and added a new panel which let users draw their desired emoji and then select the relevant one from the recommendations. You need to tap on the ‘Emoji Search Icon’ to open up the panel where you can draw your desired emoji to get suggestions. The more awesome thing is, the feature keeps predicting as you draw the emoji which makes it easier to pick the one you are looking for. Gboard now also have improved word prediction system. Gboard will now suggest phrases. For example, if you type in ‘Looking forward’ the app will suggest ‘to seeing’ or ‘to it’ as you type. Google has combined a new algorithm and machine learning to make things work. The update is already rolling out. Make sure to visit Google Play Store and update your Gboard app to enjoy these useful features. So, what do you think about this? Share your views in the comment box below.